Our Live Music & Conference PA Packages are ideal for conferences, meetings and live bands. Whether it is for an intimate event with a singer, speeches at a conference or a full P.A for a live band we have you covered. All of our packages come with speakers, a desk and microphones. Our Live music packages also come with microphone stands, monitors and DI boxes. 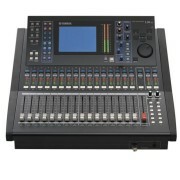 You also have the option of adding on a Sound Technician who then upgrades your mixing desk to a Digital Mixing desk. If you are unsure of what best suits your needs just get in contact with us as we are more than happy to assist you.